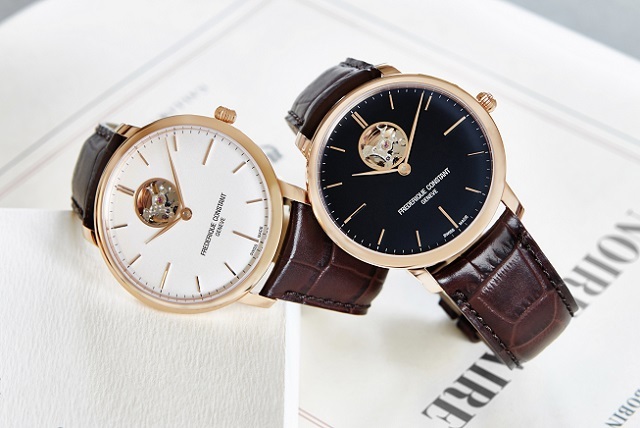 Frederique Constant Slimline Auto Heart Beat Watch is an automatic movement watch with 25 jewels, 42h power reserve, 28'800 alt/h. Polished stainless steel case, diameter of 40 mm, convex sapphire crystal and water-resistant to 3 ATM. Silver color dial, curved, applied silver color indexes, hand polished silver color hand and Heart Beat at 12 o’clock. Also available in black leather strap, dark grey dial and rose gold plated polished stainless steel case.